Sizes: 7.5", 10.5", 12.5" or 13.75". Not all sizes are immediately available. “Who can find a woman of valor? 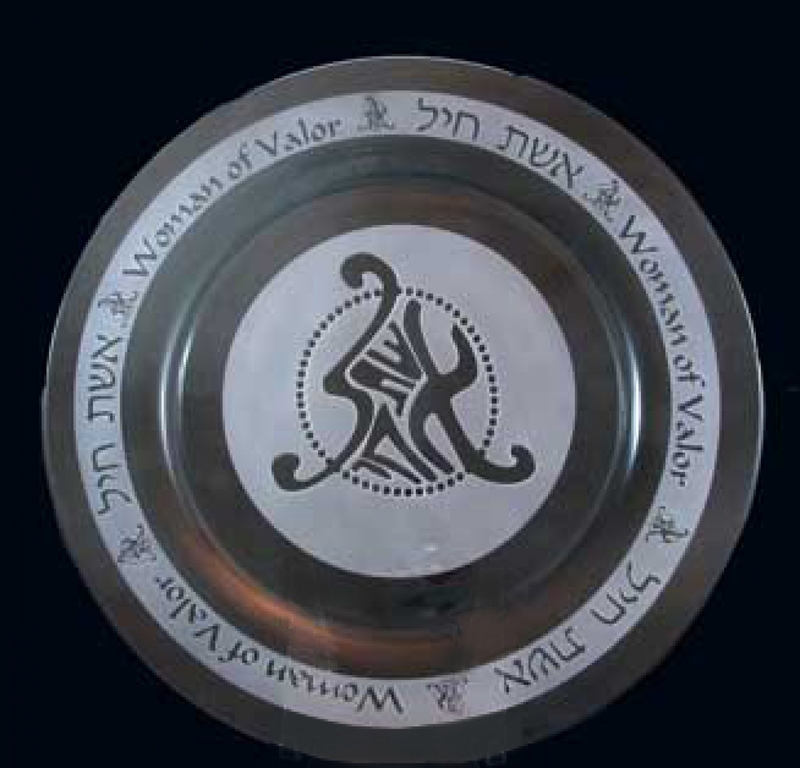 Eishet Chayil pays tribute to the strength of women in the family. Front & Back 10.5" (12.5") Plate is Front & Rear Etched.